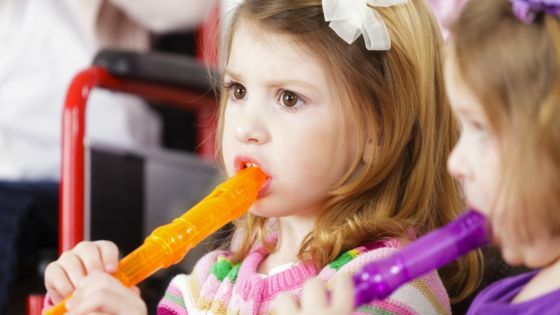 Kids Cove Early Learning Centre’s fundamental music and dance classes are fun and creative. Dancing, musical games and movement activities develop children’s coordination, control and body awareness. Musical experiences also provide opportunities for children to explore the elements of music such as beat, rhythm and tempo. Listening to songs and music helps to develop children’s listening skills, language, vocabulary and memory. We incorporate bright percussion instruments, parachutes and other props to engage the children in a music and dance journey.